An analysis of the role of ‘Islamic political parties’ or ‘Islamists’ in the democratic tran.. 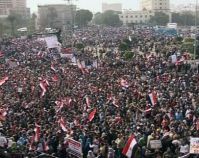 The enraged crowd had a target: the satellite television transmission truck parked at the edge of Ta..
Egypt is facing a moment of truth. 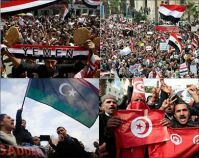 The great hopes of its revolution are fading as activists rage ag..
Egypt's Muslim Brotherhood and ruling military: Deal or no deal? Since March of this year, the Muslim Brotherhood and the Supreme Council of the Armed Forces (SCAF) ..
Down with Mubarak, Long Live Mubarakism?